the girls got to go spend the night with patty tonight, so glenn and i went and had a wonderful date. we went for a beautiful sunset ski at the fabulous trout lake trail and then had dinner in telluride. see olive there? that's where she goes when she gets tired. it turns out, olive loves skiing! i read that pomeranians have been bred down from icelandic sled dogs. olive is mostly pomeranian. 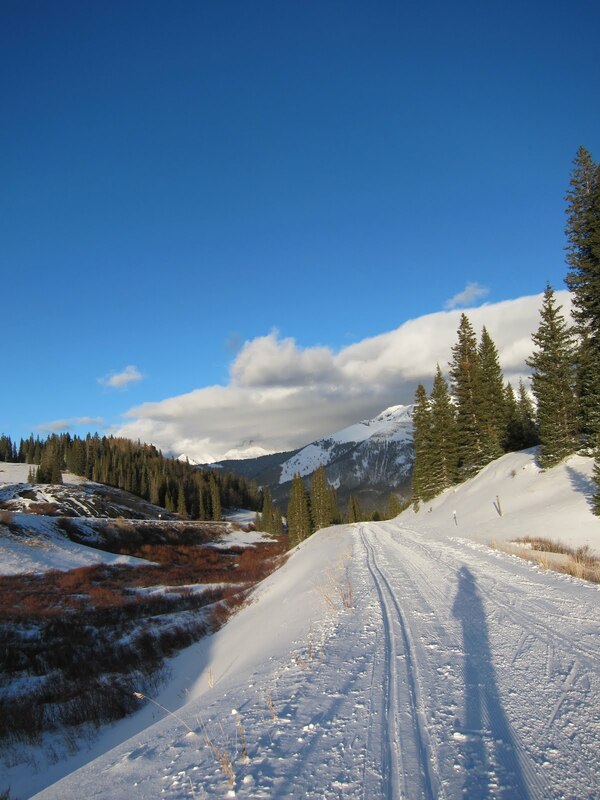 this trail was groomed at the start of november, the earliest on record. 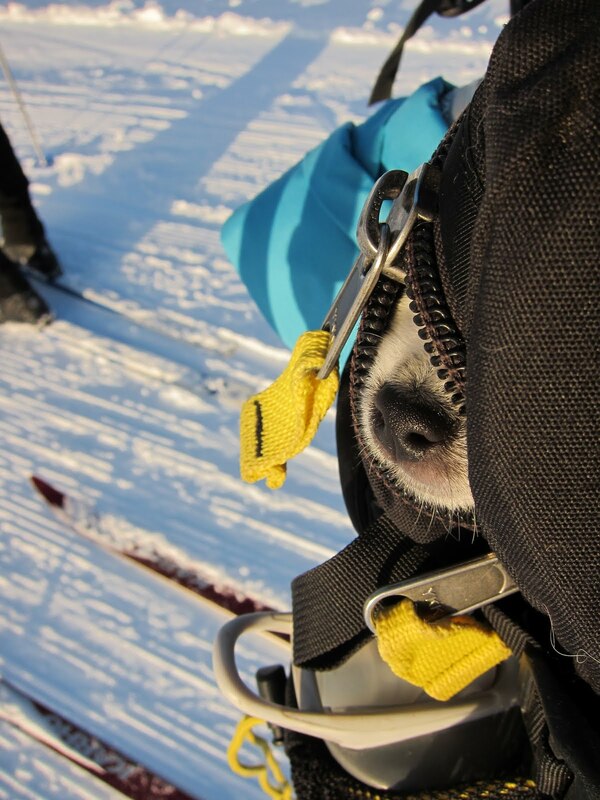 this was actually olive's fourth time skiing. where she had more options if she got tired. i am delighted that ski season has begun. i am desperately in love with olive. 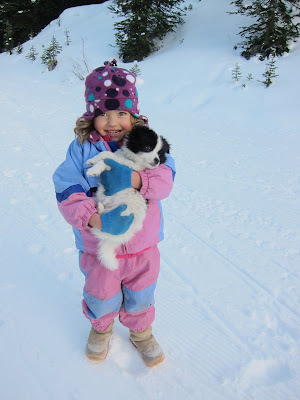 i am looking forward to many more skis with her, and with glenn, and with the girls. oh, and did i mention how glad i am to be back? The pictures of your adventures always blow me away! And now Olive does too, what a cutie! Olive looks adorable! Makes me want to have a dog as well! Lovely family pictures! Oh Kristi, I love you and Glenn so much. And Olive. And H and J. And your new, gorgeous house. And the idea of turkey in a dutch oven. And your flapper bracelet.